Innumerable times have I been asked personally, and we have also received the questions on our blog – How to buy Ethereum & Ether? Before I answer this, I would say that this question in itself is wrong and that’s why it is my motivation to write today. 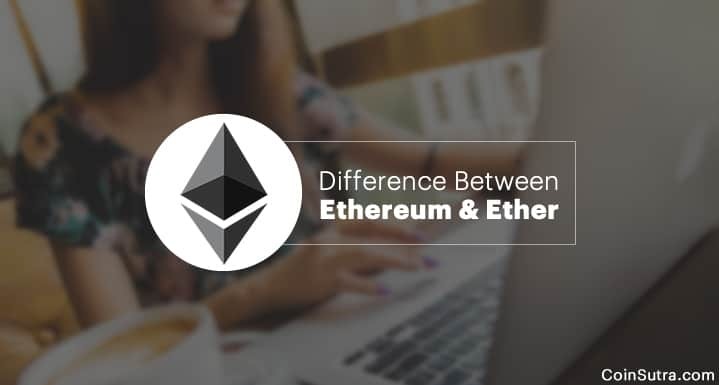 First thing first, Ethereum and Ether are different, even though it may deceive you and force you to think they are similar. If someone has The Top 10 Best Ethereum Wallets (2019 Edition), it is easy to understand the key difference between the two. To put it in the simplest of terms, Ethereum is a blockchain-based platform and Ether is the cryptocurrency that actually is the fuel of this blockchain based platform. I know some of you might not agree with me and say that Ethereum is listed as Ethereum on the CoinMarketCap. Yeah! that’s true but that is just a denomination which is sometimes or rather mostly used synonymously with the name ‘Ether’, which creates unnecessary confusion. Now that you know a bit about their differences let’s move ahead and dive into specifics of both of them. Vitalik Buterin a Russian programmer and a college dropout from the University of Waterloo invented Ethereum in mid-2013. Vitalik presented the Ethereum white paper in 2014 at the North American Bitcoin Conference in Miami, USA. Ethereum is a new platform for writing autonomous smart contracts and decentralized apps which are self-executed when certain coded conditions are met. Bob has given a contract of 10 ETH to Alice for website development. Bob has hardcoded the requirements and conditions about the kind of website he needs on the Ethereum blockchain. Now, this blockchain will act as an evaluator whenever Alice submits the website to Bob for approval after completion. Since Bob has already pre-coded his requirements (load time, theme, hosted at xyz.com, etc. ), if these conditions are successfully met, the 10 ETH payment will be made to Alice. It works like this: Alice submits her work on the blockchain for evaluation, Bob reviews that the requirements have been met, and the contract self-executes the payment to Alice. Even Bob can’t stop this payout if the conditions are satisfied. On the other hand, if these conditions are not met, then Alice needs to continue working until the conditions are met. That’s why Ethereum is more than a currency to hold and invest in, as this kind of smart contract system has significant technological implications. The code written on the Ethereum blockchain can’t be altered, tempered, or hacked. This tamper-proof feature ensured by cryptography makes it an interesting application of the blockchain technology. To know more about Ethereum’s smart contracts read our detailed guide to smart contracts. Ether also denoted as ETH is the cryptocurrency fuel for Ethereum’s blockchain. Just like a vehicle needs fuel to get propelled similarly to do every single operation on Ethereum’s blockchain you require a fuel i.e Ether which powers smart contracts, DApps, and transactions on the Ethereum blockchain. Ether (ETH) can be programmed for many use-cases like for running DApps, enabling smart contracts, generating tokens during ICOs, and also for making standard P2P payments. That’s why Ethereum (or Ether) is also called programmable money. 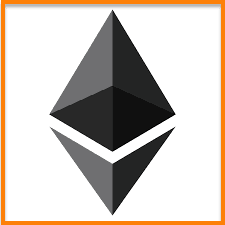 In short, Ethereum is a decentralized programmable blockchain-based software platform and its cryptocurrency asset (called Ether – ETH) is the one that runs the Ethereum network. Ethereum is the platform and Ether is the crypto-fuel or cryptocurrency that thrives over it. Ether is bought & sold and not Ethereum. Ethererum has various applications but Ether has only one application i.e. to enable operations on the blockchain. With all the detailed insight, it would be safe to assume that the CoinSutra readers will not get confused when someone asks them to buy Ethereum or Ether. There are some more terms that are used while referring to Etherum’s architecture such as GAS, GAS limit, Gas Price. I have written about these terminologies also in detail so that if you are using Ethereum blockchain for making DApps or participating in ICOs you should not get stuck. Now its time to hear from you: What do you think about Ethereum project? Do you know any more differences that I have missed here? Do you have any crypto-friends that are still confused about Ethereum & Ether? Like this post? Don’t forget to share it on Facebook & Twitter! 1. I am sure you have already answered many questions I have from time to time. How can I search the articles you have already written? 2. I am struggling with opening a NEON wallet without having my private key exposed by Google. Did you do an article on the NEON wallet? 3. I would like to distribute my NEO over multiple exchanges. I currently am using Bittrex and Binance. Are there any other good exchanges that offer NEO? 1) Use the search bar and register your email ID and join our Telegram. You will be the first to get notified of all articles. 2) NEON wallet article is coming today at 7 PM IST. 3) Binance is good they are giving you the GAS also. Bittrex is also good but they don’t give GAS. What would happen, if Bob doesn’t want to admit that one of the criterion has been completed. Maybe he thinks that it has, but Alice does. Or Bob is not a good person, and he just doesn’t admit or enter that one of the requirements has been completed? written smart contract verifies that.